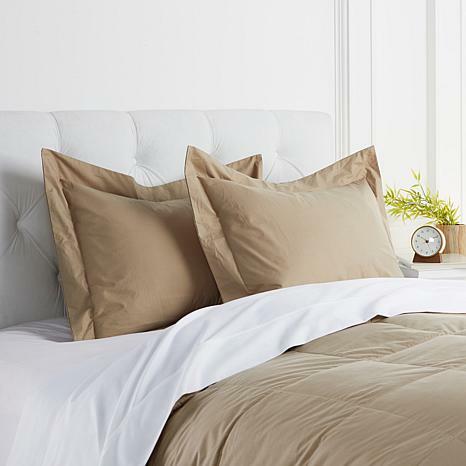 Dress your bed with the delightfully natural feeling of cotton. The solid color will blend with any décor scheme, no matter your style. Mix and match with your current bedding or go for a whole new look. Buy multiple sets and refresh your space every time you make the bed. Understated as it may be, the plain weave of these shams is just the boost your room needs.